KITENDE – Former Gormahia right back Innocent Wafula has finally joined defending Champions, Vipers SC on a 3 years contract. Wafula who has for long been on the Vipers redder becomes the first signing at the Kitende based side in the January transfer window. Upon signing for the reigning StarTimes Uganda Premier League champions, he pledged to perform and help the club to achieve all trophies. 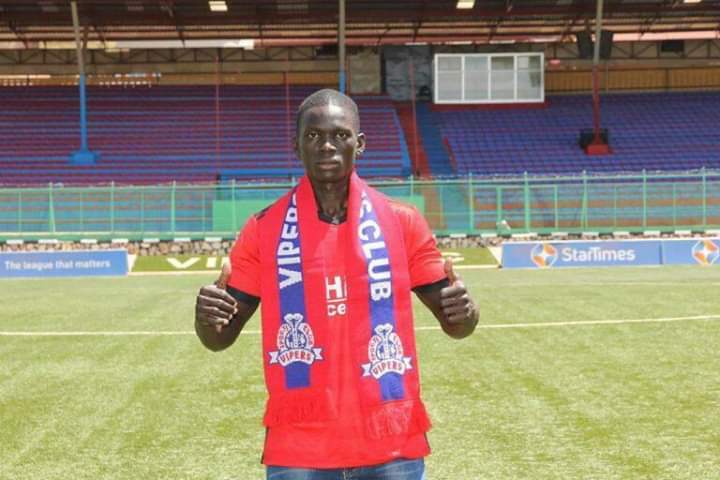 “I am delighted and proud to join Vipers SC, above all become a venom, said Wafula in an interview with Vipers.com. “I really felt that the club wanted me to come. “I will give my best on the pitch and hopefully be a very good player for this team. Wafula has previously plied his trade with Chemelil Sugar FC (Kenya), Kirinya Jinja SS and Gormahia FC, the 2017/18 Kenya Premier League champions. Innocent becomes the second Wafula at Kitende as he joins attacker Noah. Vipers SC currently 2nd on the SUPL log with 26 points. They will host Onduparaka FC this Tuesday at St Mary’s Stadium, Kitende and Wafula is likely to make his debut.